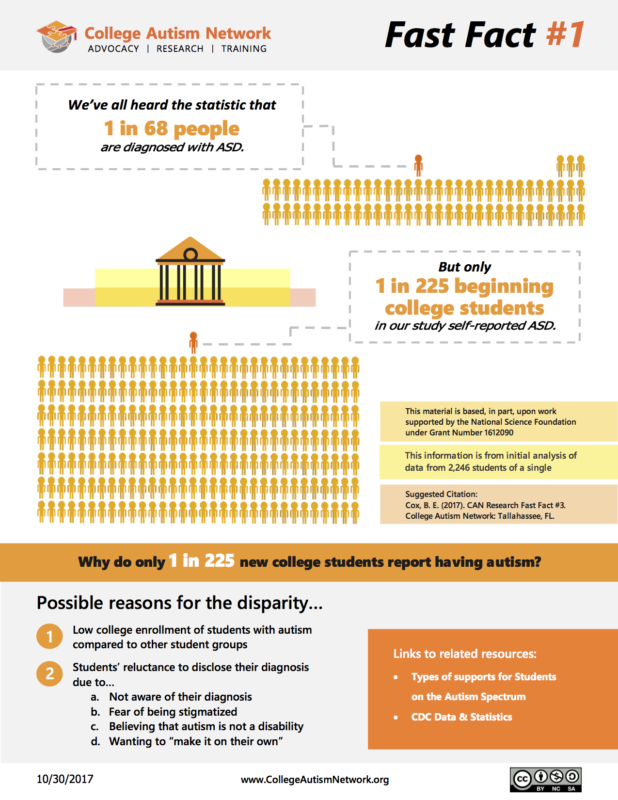 But only 1 in 225 beginning college students in our study self-reported ASD. This information is from initial analysis of data from 2,246 students of a single. Why do only 1 in 225 new college students report having Autism?